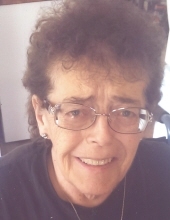 Barbara A. Libbrecht, age 82, passed away April 6, 2019 at Brookdale of Midland with her loving family by her side. She was born on December 15, 1936 in Detroit, Michigan to the late Oliver & Georgia (Mitchell) Gennette. Barbara married the love of her life George Libbrecht on October 11, 1958 in Detroit, he preceded her in death on September 16, 2005. She was a member of the Women of the Moose, loved crocheting, doing puzzles, spending time with family and friends, but will be best remembered for her generous hospitality and sense of humor. Barbara is survived by children Wayne (Edith) Libbrecht, Neil (Cheri) Libbrecht, Kurt (Karyn) Libbrecht, daughter in law Debra Libbrecht. Grandchildren; Tracey, Tanya, Halie, Brittany, Arienne, Courtney, Sarah, Nathan, Jessica, Emily, Rebecca, Jakki, and David, 15 great-grandchildren, and many nieces and nephews. Barbara was also preceded in death by her sons; Ronald, and Wade, a grandson, Wade and great grandson Brayden, and her nine siblings. The family would like to Thank the staff at Brookdale for the care given to their mother for the past 6 years. Funeral services will be held Saturday, April 13, 2019 at 11 am from Lee-Ramsay Pinconning Chapel, with Pastor John Tousciuk presiding, with burial in Bentley Township Cemetery. Friends may call at the funeral home on Friday, April 12, from 3 pm until 8 pm. On Saturday from 10 am until the time of service at the funeral home. To send flowers or a remembrance gift to the family of Barbara Libbrecht, please visit our Tribute Store. "Email Address" would like to share the life celebration of Barbara Libbrecht. Click on the "link" to go to share a favorite memory or leave a condolence message for the family.